After his Sundance award-winning documentary Return to Homs (2013), Talal Derki returned to his Syrian homeland where he gained the trust of a radical Islamist family, sharing their daily life for over two years. His camera focuses primarily on the children, providing an extremely rare insight into what it means to grow up with a father whose only dream is to establish an Islamic caliphate. Osama (13) and his brother Ayman (12) both love and admire their father and obey his words, but while Osama seems content to follow the path of Jihad, Ayman wants to go back to school. 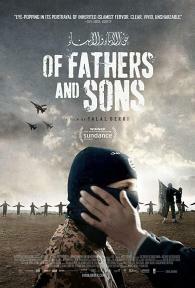 Winner of the Grand Jury Prize for World Documentary at the Sundance Film Festival, Of Fathers and Sons is a work of unparalleled intimacy that captures the chilling moment when childgood dies and jihadism is born.